Enjoy this nutritious combination of sweet Minis and fresh fruits as an afternoon snack or even on-the-go. They only take a few minutes to make, so they're perfect for those afternoons that are jam-packed with activities. Microwave De Wafelbakkers Mini Pancakes according to package instructions. 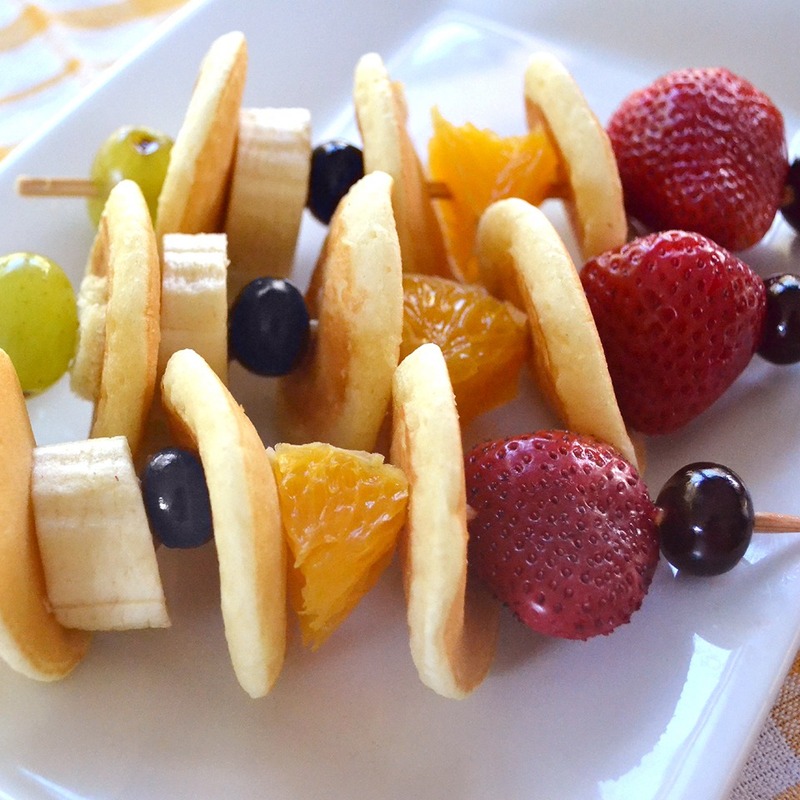 On a skewer, alternate your favorite pieces of fruit with Mini Pancakes. Make as many as you need to fill up the family!